What a couple of weeks for the Lake County Fielders of the North American Baseball League! In a series of events that is sure to have people questioning the legitimacy of the NABL itself, the Fielders have gone through a stretch that has seen them lose a manager, an interim manager, 23 players and a play-by-play guy…all since July 9th! The underlying issue here seems to be money – apparently the team, which is co-owned by actor Kevin Costner, has been a bit tardy when it comes to the paychecks. The Lake County Daily Herald says the first one to go was manger Tim Johnson, who quit the team via email after telling his players that he hadn’t been paid since the start of the season! Eleven Fielders players refused to play that night against Jose Canseco and the Yuma Scorpions, some out of support for their former manager, others because they hadn’t been paid in a while either. It’s tough to say if this, too, was a form of protest, but interim manager Pete LaCock used pitchers as position players and position players as pitchers on the night, which wound up being an 8-3 loss (and a win for Scorpions pitcher Jose Canseco!). LaCock resigned after the game. If you think the craziness ends there, you’re wrong! In the days following that statement by the (former) coaching staff, nine players were traded and 14 more were released from the Fielders roster, though the team says they also got caught up on payroll before the shake up. Imagine that: you lose a manager, a hitting coach/interim manager and 23 players all in the span of a few days! Wait, didn’t I say something about a play-by-play guy? I sure did! My pal Morley Scott sent me this gem on Monday night – Qumar Zaman quit as the team’s announcer while wrapping up the post game show after a loss to the Chico Outlaws recently! Zaman says there were issues with meal money being paid out on road trips, which doesn’t sound like a big deal unless you take into account the fact that the Fielders were on a six-week roadie when all of these problems were happening! I hope he had fun at Money in the Bank on Sunday! Boom! Seriously though, could it get any worse for this team? I’m surprised the mascot didn’t quit on them too! 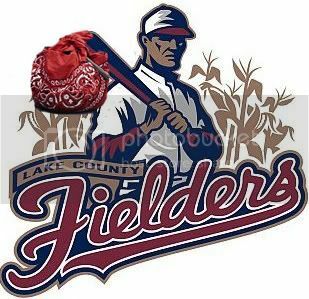 What do you think: Does this make you think less of the North American Baseball League, or of Kevin Costner?